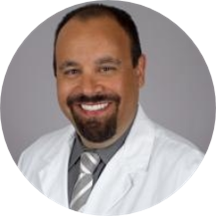 Dr. Joseph Rahman is a graduate of Johns Hopkins University, where he received his medical degree. An adept cardiologist, he currently provides expert medical care to patients at the Keck Medicine of USC. He supplemented his medical education with a fellowship in cardiology, completed at the University of California Los Angeles Medical Center. Dr. Rahman is affiliated with the Keck Hospital of USC and USC Norris Cancer Hospital. He looks after the community of Los Angeles, CA. He is certified by the American Board of Internal Medicine in cardiovascular disease, advanced heart failure, and transplant cardiology. His advanced training and expertise allow him to resolve multiple cardiac issues with precision and ease. Dr. Rahman is enthusiastic and detail-oriented in conducting patient needs assessments, as well as in providing accurate results and recommendations for the development of an appropriate treatment plan. He is committed to providing excellent medical care and individualizing it to suit each person’s needs. Dr. Rahman is certified in advanced heart failure and transplant cardiology by the American Board of Internal Medicine. Fundamentals of stem cell mobilization for the heart: prospects for treating heart disease Curr Opin Investig Drugs. 2006 Sep; 7(9):799-805. Noninvasive diagnosis of biopsy-proven cardiac amyloidosis J Am Coll Cardiol. 2004 Feb 04; 43(3):410-5. Heart and Lung Transplantation Retransplantation of the Heart. 2002.